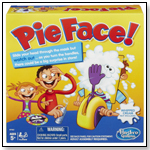 A fast and fun family card game where each player races to build the largest fleet of Schwinn bikes! Be the player that builds the most bikes with the highest point value. Must have the following cards to build a bike: One tire card, One Frame card, One Seat card, One Handle Bar card and one Helmet card. Launch date: March 2013. The S’mores card game is designed for up to six multi-level players and incorporates both strategy and good old-fashioned fun. The object of the game is to build an edible s’more before your opponents. Players get a higher point value based on the quality of s’more ingredients. The first player to collect all four ingredient cards and call out “S’more!” wins. 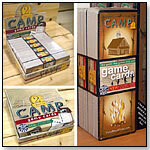 The S’more card game includes 70, 3" x 5” sturdy playing cards. It is printed with soy-based ink on recycled paper. Launch date: March 2010. The CAMP Travel edition is very compact and mobile, with a unique wood design. Up to 4 multi-level players, and has fun “setback” and “move forward” functions. All new outdoor trivia cards, with vibrant full color images, includes content highlighting all 50 states. 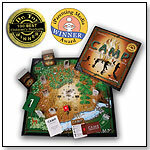 — "The board game Camp has sold well in our store. 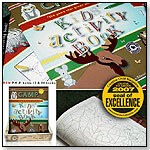 Happy to see the travel edition that kids and parents can play together," Marlene England of Dancing Bear Toys & Gifts, told TDmonthly at Toy Fair 2010. This product received The Family Review Center/Magazine Gold Medal award. Launch date: September 12, 2007.